A luxury residential rehab clinic surrounded by stunning green parkland, making for a tranquil and relaxed setting. Parkland Place delivers an unrivalled rehab for people in recovery from alcohol addiction, drug addiction, gambling addiction and other harmful behavioural conditions – all within the comfort of a stunning 16 – bedroom mansion and garden near the gorgeous North Wales coastline, the house is situated amidst National Trust farmland and offers a welcoming and comfortable haven for your journey of recovery and rehabilitation. 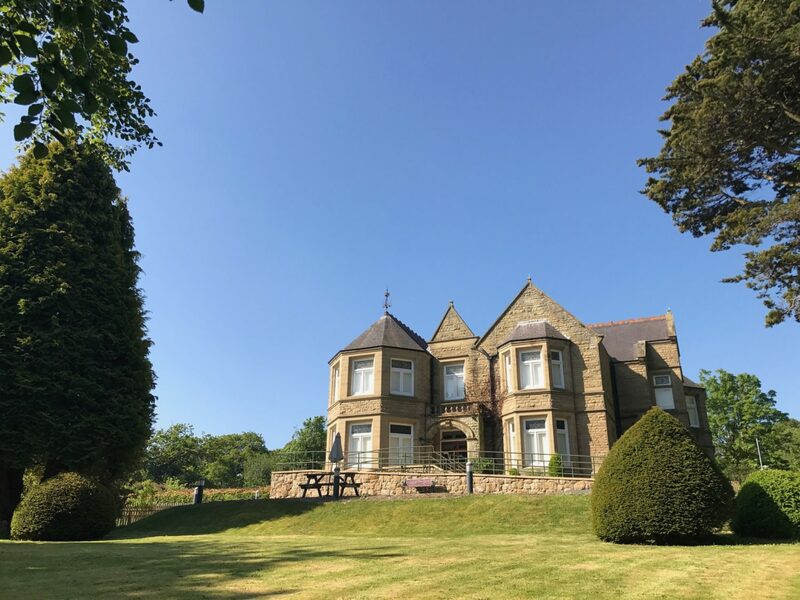 Parkland Place offers unrivalled therapy for people with experience of alcohol addiction, drug addiction gambling addiction and other various harmful behavioural conditions in the comfort of a stunning 16-bedroom mansion and gardens near the coast in the beautiful environment of North Wales. We offer an extensive and all-encompassing treatment programme which is individually tailored to each of our guests, it is delivered by our professional staff under the guidance of our consultant Psychologist. Guests at Parkland Place are required to be and to remain, abstinent during their stay with us and they have the full support of our team here. Many of our guests require detoxification before they can come to Parkland Place, and in the case of that they can be referred to our dedicated detox clinic. Our beautiful and positively lit mansion is the ideal place for a well-placed and positive recovery. Many of our rooms have sweeping panoramic views of the grounds and surrounding countryside. We use the beauty and splendour of North Wales, including the region’s rich and diverse culture in order to add a narrative to your recovery, expect wonderful excursions such as horse riding on the isle of Anglesey, relaxing walks through the woodland and trips to the seaside.